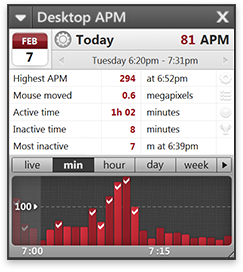 Desktop APM provides a graph of how intensely you use your keyboard and mouse. Statistics show how active you've been and how long you took breaks for. The in-built calendar makes browsing previous days easy. Find out what you were doing days, months, even years prior. Hovering over a graph shows a preview of how your time was spent. Timeline provides a comprehensive list of what tasks you were doing and when. Browse applications and identify peak activity. Select multiple applications to compares different applications on the same graph. 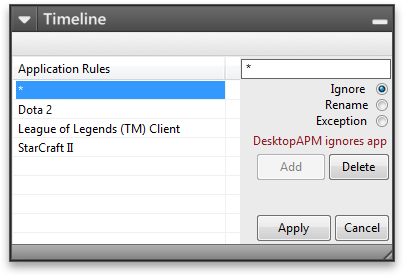 Rules give you powerful control over what Desktop APM tracks. In the above example we ignore all applications using a wildcard (*) match, then add in three exceptions that we want Desktop APM to track. 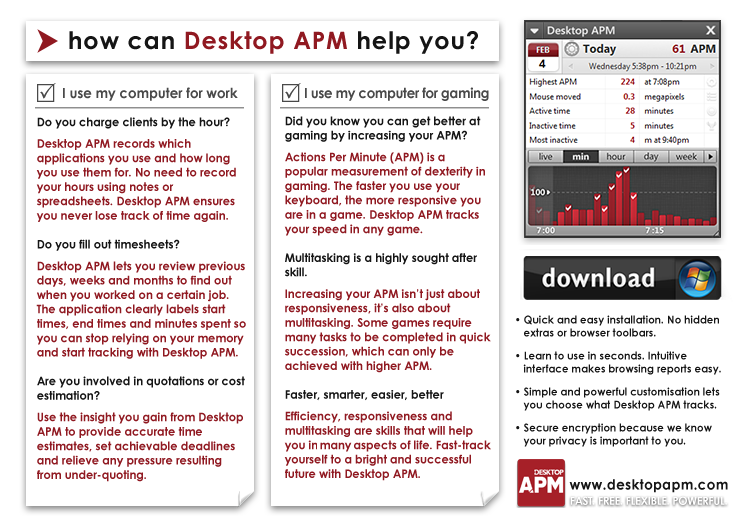 Many features are waiting for you in Desktop APM. 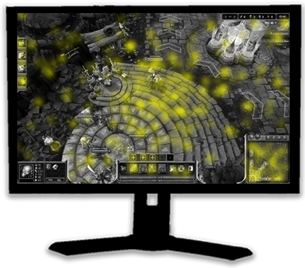 Hotspots show where you click the most, set daily targets, export to spreadsheets and more.